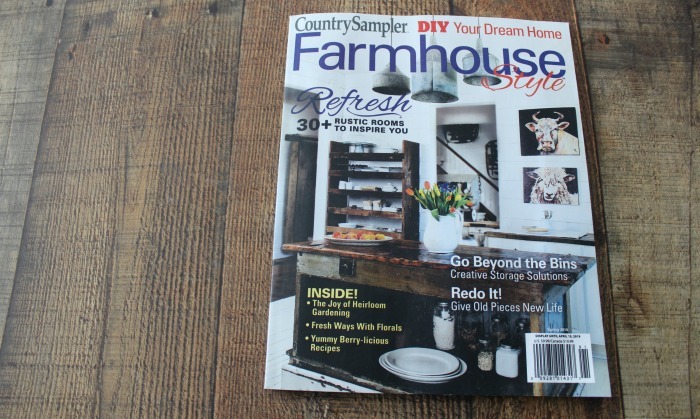 Country Sampler Farmhouse Style Magazine Feature Plus Exciting News & a POLL! 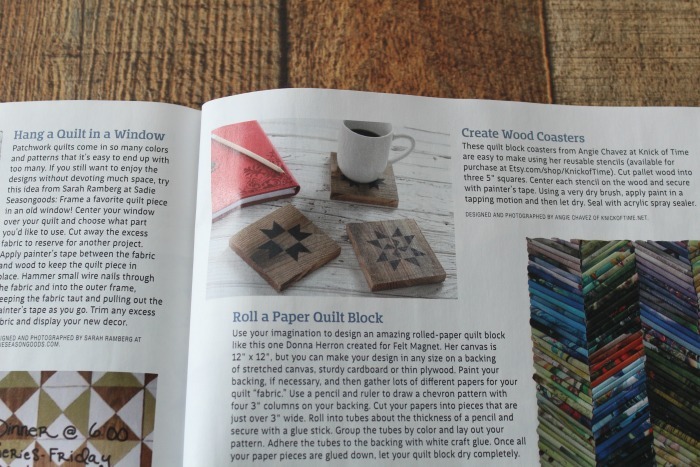 Several months ago, I was contacted by Country Sampler magazine and they wanted to know if they could feature a few of my quilt block projects for their Farmhouse Style magazine. It’s one of their specialty publications that my projects have been featured in several times. 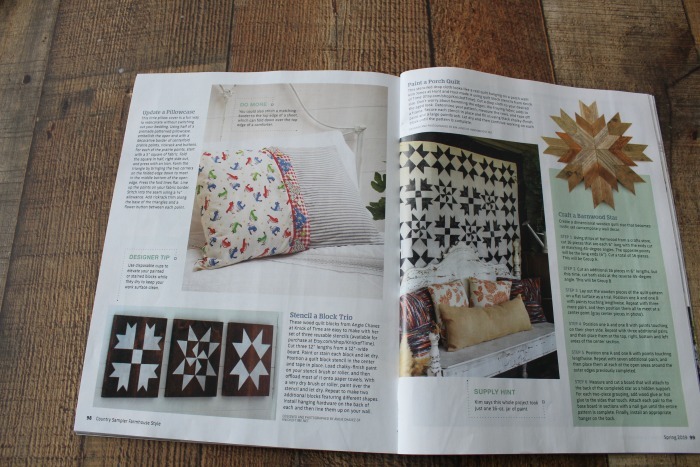 Here are the sections of the magazine that my projects were featured in. 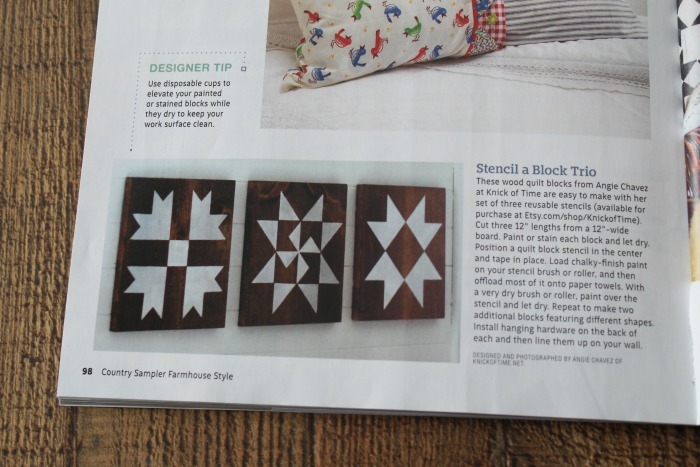 Below are my large barn quilt block stencils featured on wood wall decor. You can see how I made them HERE. Kim from Hunt and Host also used my stencils to create a painted quilt that she used on her porch. Also featured were my Quilt Block Pallet Wood Coasters. 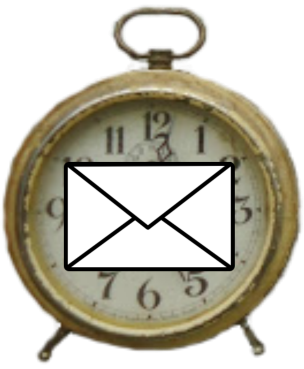 I was just also just told that I have another feature coming out in the Spring edition. How fun! 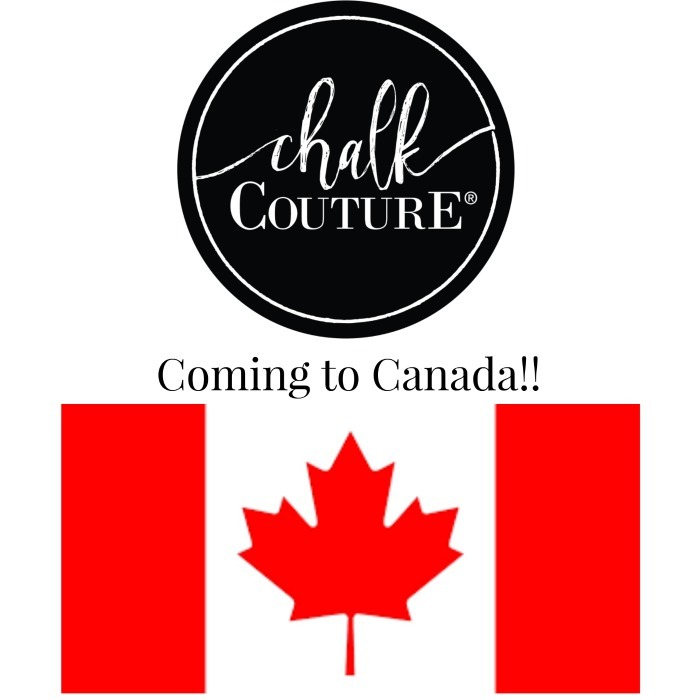 Chalk Couture is coming to Canada!! 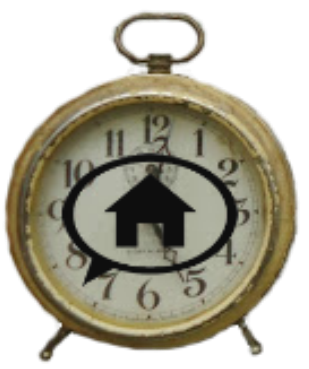 To get in on this ground floor opportunity pre-register to become a designer and put in my designer # – 19626 HERE. 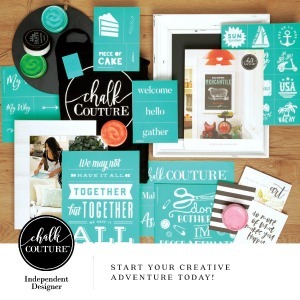 I would love to have YOU on my team of designers! 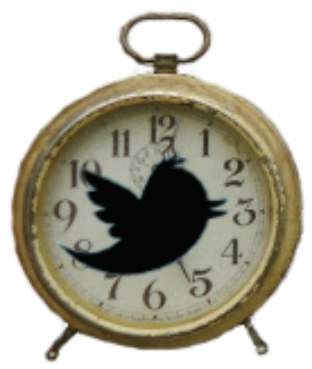 Also, the Spring/Summer collection from Chalk Couture is being released on Feb. 4th!! There are over 100 new transfers (128 to be exact) with new themes. 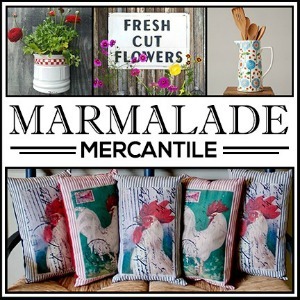 There’ s a bee theme, a homegrown gardening theme, and a corner market theme with plenty of farmhouse style designs that I can’t wait to make projects with. I already have a few planned. There will be new kits, new chalk paste colors, brand new “Chalk Boxes,” as well as new surfaces like pallet signs that I know you’re going to love! See all the new products on my chalk site on Feb. 4th! See the entire catalog HERE. I think you’ll be as excited as I am! POLL: Take a look and tell me which design you think I should make a project with first! So exciting Angie – love your stencils and that porch quilt is still one of my favorite projects, thank you for sharing it again! Congratulations! I have admired your quilt blocks since I first saw them and you certainly deserve the recognition. Congrats! Those stencils are such an awesome idea! Thanks David. They are stunning designs! Congratulations Angie! I love that magazine and look forward to each and every issue. Thanks Rosanne! I love it too! Congratulations! 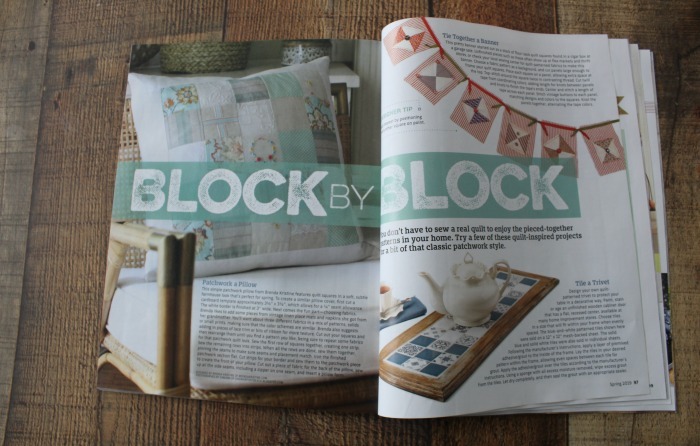 love your quilt blocks and they are stunning, you deserve it all. Thank you so much Marlene!! 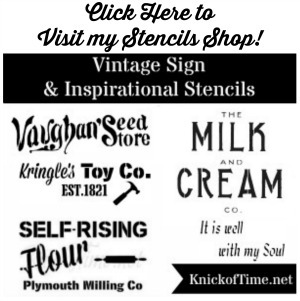 Oh, my gosh, Angie, there are SO MANY stencils in their catalog! I think it would be awesome to form a local group where you would share the stencils. Just because some of the really cool ones are pricey. 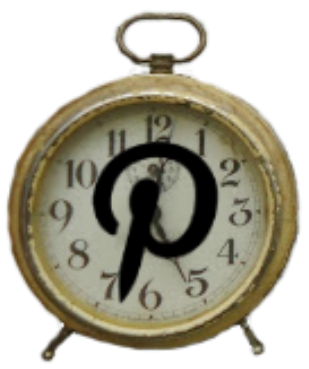 One person would act as “librarian” and anyone from the group could check out a stencil, then return it when they are finished with their project. Of course, the “librarian” would have to be willing to keep track of who had which stencil, etc. If there were several members who wanted the same stencil they could share the cost. I don’t know if it would work but it’s the only way I can think of that I could afford to acquire as many stencils as I’d like to work with. 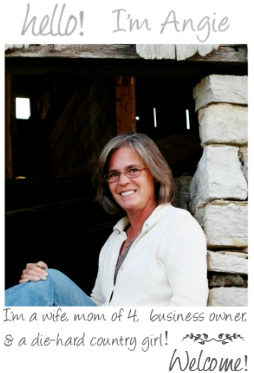 Congratulations on being featured in the Farmhouse Style magazline! I would love to do some type of project with quilt block designs. Haven’t come up with the project yet, though. Hope your New Year is off to a good start. 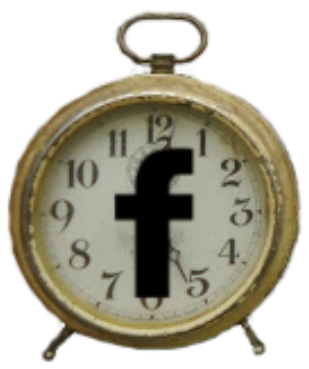 It sounds like it is from the info in this post! 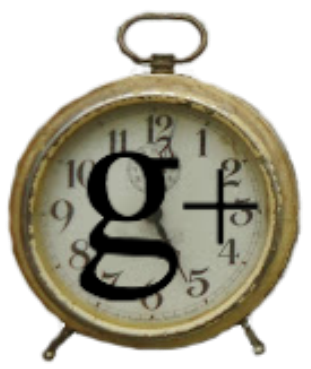 If I haven’t told you before, yours is one of the four or five very favorite blogs that I read. You always inspire me to think about new things to try. Thanks for all the time and energy you put into publishing it. That’s a great idea Naomi. The “librarian” could charge a deposit and and a small fee so each person could check out one transfer at a time. The fee would help pay for buying new transfers. Good for you, Angie! I love your big quilt block stencils! You are so creative! How exciting! Congratulations on the recognition! Congratulations on the feature! That is so exciting! Bees Bees Bees! Be great to remind us to be BEE friendly as we plan our gardens. And to check what we are planning to buy to avoid certain kinds of “pest control”. I love the transfers too Derry!